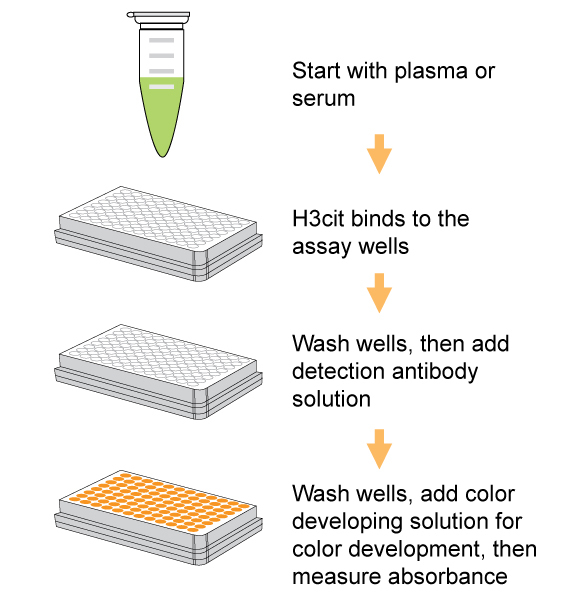 Schematic procedure of the EpiQuik™ Circulating Histone H3 Citrullination ELISA Kit (Colorimetric). 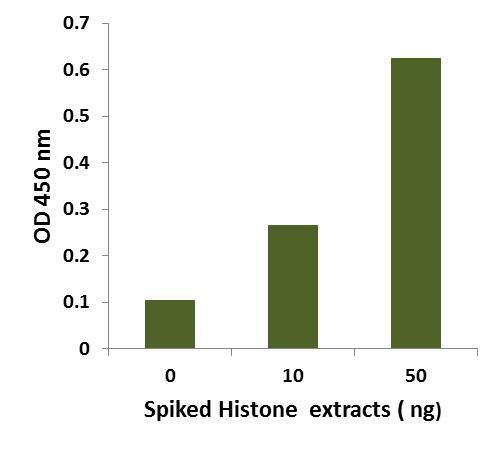 Histone extracts were prepared from HL-60 cells using the EpiQuik™ Total Histone Extraction Kit (Cat. #OP-0006) and spiked into bovine plasma at different concentrations. 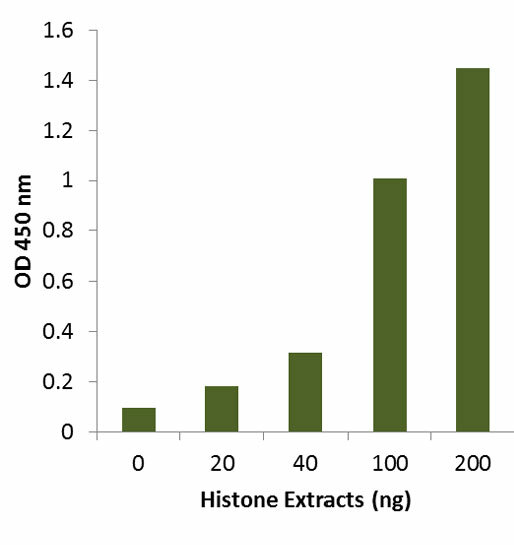 The amount of H3cit was measured using the EpiQuik™ Circulating Histone H3 Citrullination ELISA Kit (Colorimetric). Demonstration of high sensitivity and specificity of H3cit detection achieved by anti-H3cit antibody. 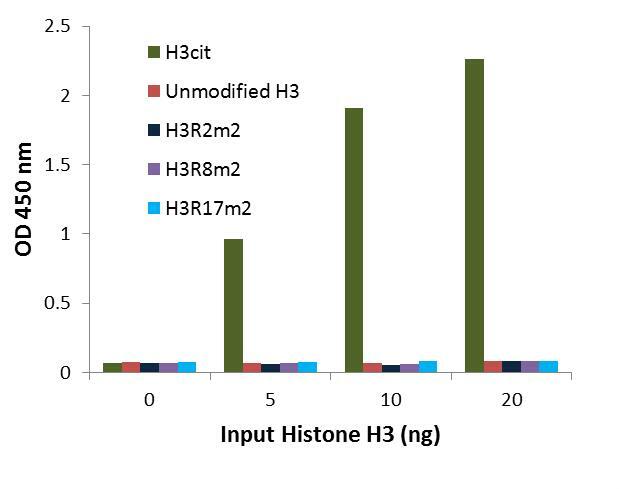 H3cit, unmodified H3 and methylated H3 at arginine site 2, 8 and 17, respectively were added into the assay wells at the different concentrations and then measured with the anti-H3cit antibody used in the EpiQuik™ Circulating Histone H3 Citrullination ELISA Kit (Colorimetric). High sensitivity and specificity. 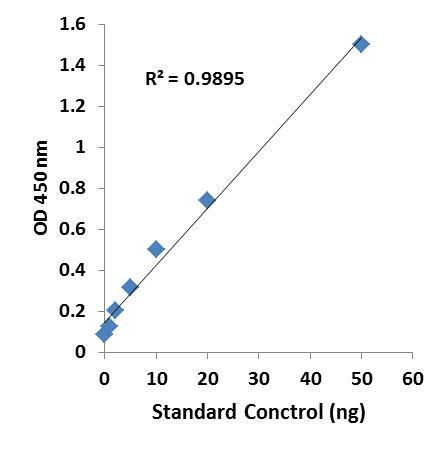 The detection limit is as low as 0.5 ng/well with dynamic range of 1-20 ng/well within the indicated amount range of the plasma/serum. Only recognizes H3cit with no cross-reactivity with unmodified H3 or other modifications at the same arginine site. The control is conveniently included for the quantification of H3cit. Arginine histone citrullination is one of the many important epigenetic marks, and is essential for the regulation of epigenetic chromatin remodeling and immune cells’ extracellular trap processes. Citrullinated arginine of histone H3 (Arg2, 8, 17) regulates gene expression and is mainly catalyzed by peptidylarginine deiminase 4 (PAD4). Furthermore, citrullination of histones, in particular histone H3, was revealed as a convergence point for diverse inflammatory signals that trigger the neutrophil response to infections. It was reported that citrullinated histone H3 could be a potential serum biomarker for the early diagnosis of septic shock. More immunological diseases such as multiple sclerosis and rheumatoid arthritis seem to be also associated with change of histone H3 citrullination. The circulating histone H3 citrullination can be changed by inhibition or activation of PADs. Therefore, quantitative detection of circulating histone H3 citrullination would provide useful information for better understanding epigenetic regulation of gene activation and silencing, as well as for developing PAD-targeted drugs. This kit is designed for measuring total H3cit in plasma or serum. In an assay with this kit, the citrullinated histone proteins in the plasma/serum sample are captured on the strip wells coated with anti-citrullinated H3 antibody. The captured citrullinated H3 can then be recognized with a detection antibody followed by a color development reagent. The ratio of H3cit is proportional to the intensity of absorbance. The absolute amount of H3cit can be quantitated by comparing to the standard control. #Control Assay Strips are green trimmed for distinguishing from 8-well Assay Strips (for samples). 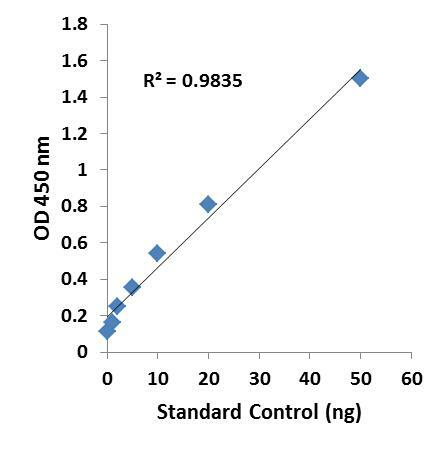 The Control Assay Strips are only for control use and should not be used for sample assay. Hu Y et. al. (November 2018). Increased Neutrophil Activation and Plasma DNA Levels in Patients with Pre-Eclampsia. Thromb Haemost.